COMP Cams Xtreme Hi-Lift Hyd. 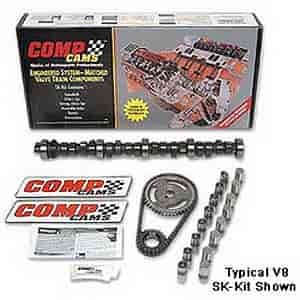 Flat Tappet Camshaft Small Kit Chrysler 383-440ci 1959-1980 Lift: .545"/.545"
These Comp Cams Xtreme Energy Hi-Lift Camshafts are designed to take advantage of the latest improvements in valvetrain components and the newest developments in camshaft design. The aggressive lobe design of these cams produces better throttle response, and the high-lift design gives extra lift for top-end horsepower. Does COMP Cams SK21-228-4 fit your vehicle?